This story recieved a lot of coverage on local news: Universal Hub, CBS, Globe Metro Desk Boston.Com etc. Also, according to BPD’s Boston 24 Crime Repoort, there were two non-fatal shootings between wednesday the 21 10am and thursday the 22nd 10am. 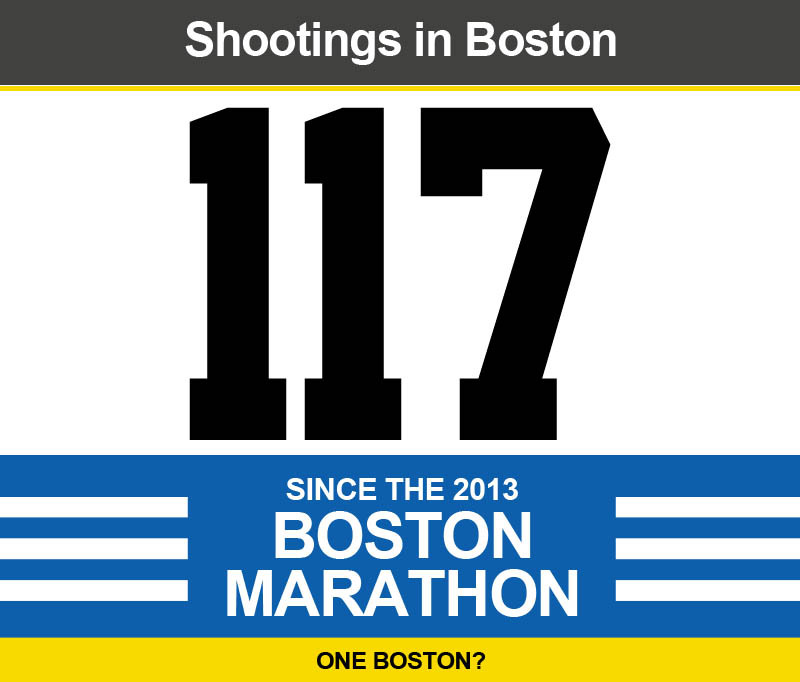 This makes the total number of shootings in Boston (where people were hit, fatal and non-fatal) at least 117 since the Boston Marathon. We have also continued to get unconfirmed reports of more shootings throughout the week. According to Boston Police Crime stats, as of July 23, non-fatal shootings since the beginning of 2013 are up 16% over last year and homicides with a firearm are up 64%.